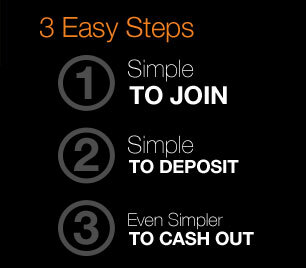 Join today and make a deposit to receive an incredible 50% Welcome Bonus. Refer your friends and receive a 50% freeplay for every depositing referral. Casino lovers can enjoy 50% bonus on their first 3 deposits! 15% bonus lifetime on all your deposits. Enjoy our casino and receive a weekly automatic 10% rebate. 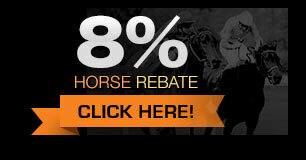 Our racebook platform gives you the benefit of a weekly 8% rebate given automatically. March is so much fun when you play in our Bracket Madness Contest. Fill out your entry form and join the Madness. Test your handicapping skills and win $100,000 in cash prizes. Select the Winners of the Thanksgiving Weekend and Win $250,000 in Cash Prizes. Pro football with our handicapping contest. Grand Prize of $5,000! one time deal 100% Match Bonus! March Madness betting is right around the corner and to help NCAA bettors prepare for the gargantuan tournament BetNow is now offering a $500,000 Bracket Madness Contest! 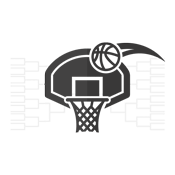 First and foremost, sportsbook players participating in the 2019 Bracket Madness Contest should go ahead and fill out their FREE entry form. There’s no better way to watch the NCAA Tournament unfold than by watching the predictions rack up! Strictly one entry per household. Prizes are non-transferable and cannot be exchanged. The grand prize will be awarded to the contestant that correctly picks all winning teams including the tie breaker. In case of a tie, the winner will be determined by who accurately predicted the score of the tiebreaker game. If more than one player meets the grand prize criteria, the winnings will be split amongst the qualifying winners. The grand prize winnings will be paid in 6 installments over a 6 month period. A notifying email will be sent within 48 hours to the winners once the contest is final. All entries must have a valid email address. If a winning notice is undeliverable it will be counted as a disqualification. You must be an active client of BetNow. Active clients can enter this contest at absolutely NO COST! 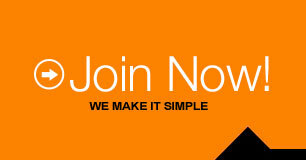 If you’re not an active client, Sign up and become one today! As aforementioned, our prize package will accumulate to $500,000 in winnings. Below is a breakdown of how that chunk is broken up. 8X rollover if activity is in the sportsbook and 30 time if in the casino. 3X rollover if activity is in the sportsbook and 15 time if in the casino. How to calculate your rollover? Deposit $100 and receive $50 cash bonus, total balance $150. Rollover if sportbook: $150 X 8 = Total rollover $1200. Rollover if casino: $150 X 30 = Total rollover $4500. For the entire month of August and running until Sept. 4, 2019 we will be featuring an exclusive one time deal 100% Match Bonus! This is just another special way for us to show you our appreciation for choosing us as your online betting home. The 100% Match Bonus may be applied 1 time only between August 1st to September 4, 2019. Your minimum deposit has to be $20 and your maximum $5,000. It has a 3x rollover on the bonus + deposit - non forfeitable. Not applicable to new customers. Your referral must specify your name in the "How did you hear about us?" field in the registration form. To qualify the referrer must have a balance equal or greater than the amount of the free play. Winnings from free play have a 4X rollover if activity is in the sportbook and 10X if in the casino. Rollover requirements must be met prior to requesting a payout. How to calculate your roll over? Based on if winnings from free play is $100. 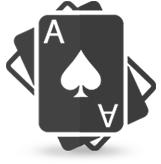 Rollover if sportbook: $100 X 4 = Total rollover $400. Rollover if casino: $100 X 10 = Total rollover $1,000. To claim your bonus insert promo code BNCASINO when making your initial deposit. Rollover in casino: $150 X 30 = Total rollover $4,500. 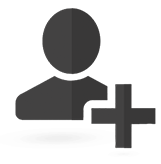 This bonus is given automatically on all new cash* deposits. All lifetime VIP bonuses have a 3 time rollover. If 15% VIP deposit $100 and receive $15 cash bonus, total balance $115. Rollover (15% VIP) if sportbook or casino: $115 X 3 = Total rollover $345. If 10% VIP deposit $100 and receive $10 cash bonus, total balance $110. Rollover (10% VIP) if sportbook or casino: $110 X 3 = Total rollover $330. BetNow has a load of fun for all those casino lovers! With a wide variety of table games, progressive slots, video poker, keno and mobile games, you can play any game of your taste. We offer our players a 10% weekly casino rebate on all your net losses weekly. 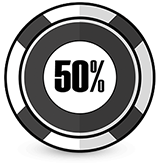 This means that we will give you back 10% of whatever you lost playing in our casino from Monday to Sunday. 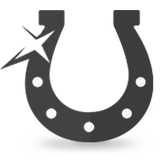 Try our easy to use Horse Racing platform! If you are into the Sport of Kings check out our racebook and the great opportunities to bet on horses. When you bet on our racebook Monday through Sunday, we will grant you with a 8% rebate based on your net losses. So what are you waiting for? It has been a long wait for the FIFA World Cup Betting Action to come back and now it’s finally here! BetNow joins the excitement with a gift to our soccer betting fans. May be used only once during the World Cup June 14-July 15th. The free play may be applied only to a soccer wager and it is restricted to a straight bet. The customer will only receive the winnings of the free play. The free play must be called in. The free play must be requested when making the deposit. 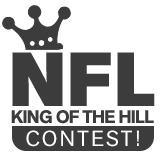 Entry to the NFL King of the Hill Contest is completely FREE. Step 1: Create and fund your account. Step 2: Log into your account and register a nickname in the Contest section. 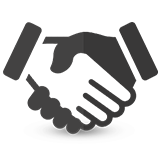 Your nickname will be used to track your winning picks. Step 3: Every week of the regular season fill out the NFL Weekly Pick'Em Entry. Step 4: Track your progress weekly in the contest leaderboard. * If you do not create a nickname or miss the contest cutoff date (September 6, 2019), you may still participate on a weekly basis; just fill out your NFL Weekly Pick'Em Entry and your results will be registered using your account, giving you a chance that week to win up to $5,000 in cash prizes. If you pick all the winning teams for the week as well as the tiebreaker, you automatically win $5,000! If no perfect entry is received, then consolation prizes will be given to the top 10 entries. Each winning pick is awarded one point. All points accumulate throughout the 17 weeks of regular season and the player with the most amount of points will be the NFL King of the Hill and will be awarded with the $5,000 Grand Prize. 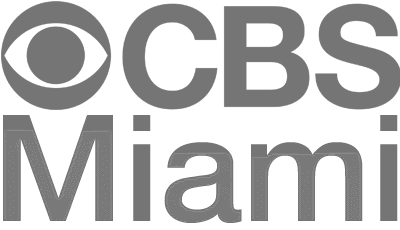 Participants that place from 2nd-15th will distribute $10,000 in cash prizes. Only an active client will be an eligible contest winner. Active meaning having played at least two times a week during the entire NFL regular season. The contestant that picks the perfect week, meaning, that all picks for a specific week won, with the tiebreaker, will win $5,000. 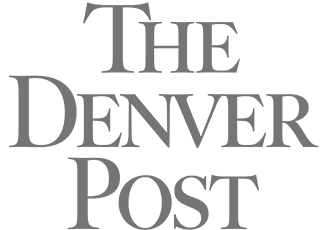 If more than one person wins the grand prize of $5,000, the prize will be equally split among the winners. If NO Grand prize winner, consolation prizes will be given to the top 10 entries every week. For consolation prizes, in the event of a tie, the tiebreaker will determine a higher position and prize. 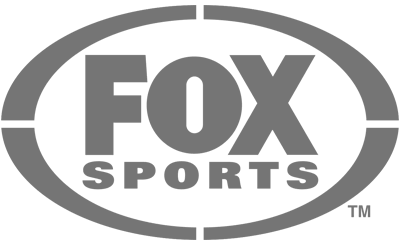 The score for the Monday Night Football game will be used as a tie breaker during the first 16 weeks. If there is a tie on the King of the Hill contest, week 17 entry will be used as the tiebreaker and will determine the winning order. The score for the Sunday Night Football game will be used as a tie breaker. You can follow your placement on our KING OF THE HILL leaderboard. 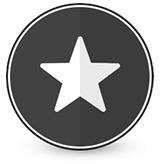 NFL Weekly Pick'Em from BetNow, win each week of the regular season Pro football with our handicapping contest. Every week of Pro football, you can fill out a new bracket and WIN in our FREE Weekly Pick’Em contest! At the end of each week, the player with the highest number of correct picks on the entry bracket wins! 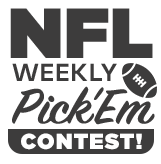 If you pick all the winning NFL teams for that week along with the tiebreaker, you automatically win the free NFL Weekly Pick'Em contest Grand Prize of $5,000! The contestant that picks the perfect week, meaning, that all picks for that week won, with the tiebreaker, will win $5,000. The grand prize winnings will be paid in 4 installments of $1,250 each over a 4 week period. Top 3 winners will be listed in the announcements area. You must be an active client of BetNow. If you are not active, get active immediately by making a deposit online or via phone. There will be $5,000 given away per week until the end of the regular NBA season. Each week, clients must select the straight up winners from 14 NBA games with the tiebreaker. Each winning pick will be awarded one point. Final results will be posted by Wednesday every week. The score of the total Sunday NBA Basketball games will be used as a tie breaker. Ex: If there are three games on Sunday, the total of all three games. The consolation winners will be the top 5 scorers every week. The contestant that picks the perfect week; meaning that all picks for that week won with the exact tiebreaker total – will win $5,000. Consolation prizes will be given out weekly to the top 5 scoring clients. In case of a tie, the prize will be equally split among the winners. The monetary amount for consolation prizes is based on the amount of entries. As an active client you may enter this contest absolutely FREE. Simply pick the winning team of your choice for the 15 NFL Football Games between Nov. 22 – Nov 26th, 2019. Grand Prize will be awarded to the client that picks all the winning NFL teams along with the tie breaker. Only one entry per person. In case of multiple entries, ALL entries from that client will be void! Judges decision is final. Bet Now will be giving away $5,000 per week until the end of the regular MLB season. All you have to do is each week select the straight up winners from the 28 MLB games with the tiebreaker. Will start with the regular MLB season. Whenever there is a cancellation or rain out those games will not count for the contest. All house MLB rules will apply to full games. The tiebreaker will be the grand salami for the given week. The tie breaker (grand salami) is the total # of runs scored during the entire week. The customer simply needs to pick the straight up winner not against the line.